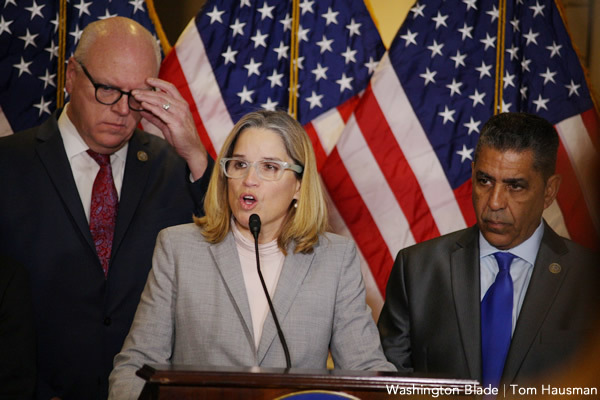 Editor’s note: This is part two of a two-part interview with San Juan Mayor Carmen Yulín Cruz that the Washington Blade conducted on Nov. 1, 2017, at the U.S. Capitol Visitor Center in D.C. Part one of the interview can be found here. The mayor of the Puerto Rican capital of San Juan on Wednesday said Hurricane Maria did not damage the U.S. commonwealth’s first LGBT-specific monument. Carmen Yulín Cruz on June 26, 2016, formally unveiled the monument — which is located in San Juan’s oceanfront Third Millennium Park — during the city’s annual Pride parade. The ceremony took place two weeks after 49 people were killed inside the Pulse nightclub in Orlando, Fla.
Nearly half of the massacre’s victims were LGBT Puerto Ricans. The monument contains a plaque that pays tribute to the 49 people who died inside the Pulse nightclub. 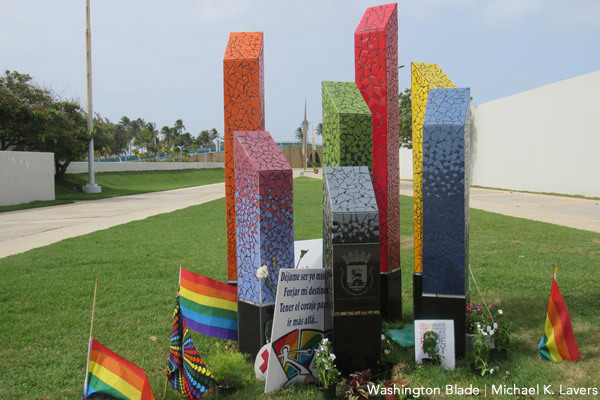 “It’s standing proud the way its supposed to be,” Yulín told the Washington Blade after she spoke to reporters at the U.S. Capitol Visitor Center in D.C.
MAIN IMAGE: Puerto Rico’s first LGBT-specific monument is located in Third Millennium Park in the U.S. commonwealth’s capital of San Juan. 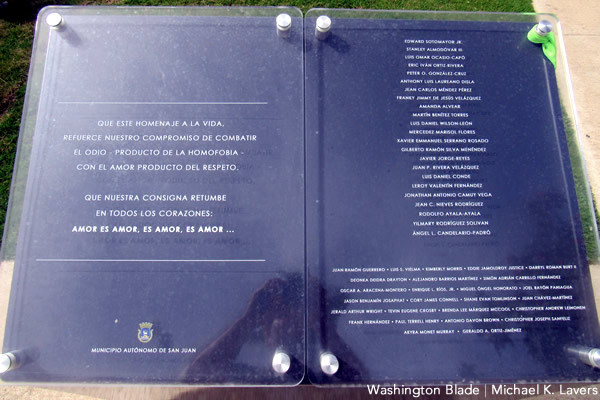 ABOVE: A plaque in Third Millennium Park in San Juan, Puerto Rico, pays tribute to the victims of the Pulse nightclub massacre. 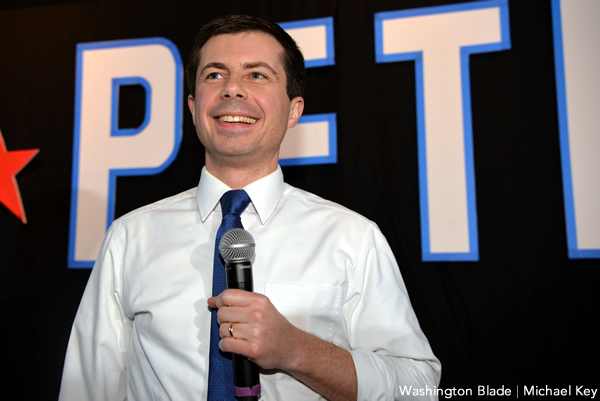 (Both Washington Blade photos by Michael K. Lavers). Yulín spoke with the Blade more than a month after Maria made landfall on Puerto Rico’s southeast coast with 155 mph winds. Maria devastated Puerto Rico, St. Croix in the U.S. Virgin Islands and other islands in the Caribbean. Hurricane Irma caused widespread damage on St. Thomas, St. John and other islands in the region two weeks earlier. More than 63 percent of Puerto Ricans remain without electricity and slightly less than 17 percent of the island’s 3.4 million residents currently lack access to running water. 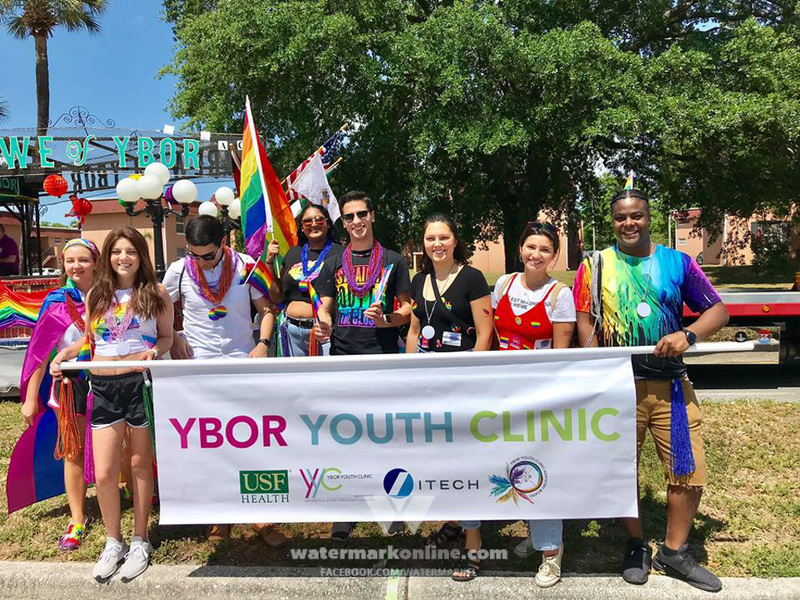 A CenterLink campaign has raised more than $22,000 for the LGBT Community Center of Puerto Rico in San Juan’s Hato Rey neighborhood. Food and Friends has pledged to donate at least $30,000 to Bill’s Kitchen, a San Juan-based organization that provides meals to Puerto Ricans with HIV/AIDS. Local advocates with whom the Blade has spoken in recent weeks have said LGBT Puerto Ricans are even more vulnerable in the wake of Maria and Irma, which brushed the island on Sept. 7. Wilfred Labiosa, co-founder of WAVES AHEAD, an organization that works with at-risk groups in Puerto Rico, told the Blade last month during a telephone interview from San Juan that a transgender woman at a shelter was not immediately given access to a cell phone to call her relatives in Arecibo, a town on the island’s northern coast that is roughly an hour west of the Puerto Rican capital. People with HIV/AIDS — especially those who live outside of San Juan — have been unable to receive medications because of the damaged infrastructure. Labiosa told the Blade that some trans Puerto Ricans have left the island in order to receive hormone treatment. Yulín on Wednesday told the Blade the clinic for adults and children with AIDS that the San Juan Department of Health operates stocked up on medication and other supplies before Maria made landfall. She said the clinic partially reopened two weeks after the hurricane and is dispensing medication to patients. Yulín told the Blade her government is also working with the AIDS Healthcare Foundation to identity people with HIV/AIDS who need generators and bring them to their homes. Food and Friends Executive Director Craig Shniderman on Thursday said his organization is working to help Bill’s Kitchen buy a new generator. Yulín is among the most vocal critics of the federal and Puerto Ricans governments’ response to Maria. President Trump last month attacked her in a series of tweets after she criticized his administration. Yulín has also faced criticism from Federal Emergency Management Agency Administrator Brock Long and Whitefish Energy Holdings, a company based in Interior Secretary Ryan Zinke’s hometown in Montana that signed a controversial $300 million contract with the Puerto Rico Electric Power Authority to help rebuild the island’s power infrastructure. The Puerto Rico Electric Power Authority, which is known by the acronym PREPA, on Sunday announced it would cancel its contract with Whitefish. Yulín and Brock on Wednesday were scheduled to testify at a House Homeland Security Committee hearing on Maria, but it was abruptly cancelled.